What does it feel like to fall off a horse at 35mph? Imagine if every day you went to work, there was a good chance at any moment your chair would tip over and fire you into the carpet at around 35mph. Would you keep turning up? 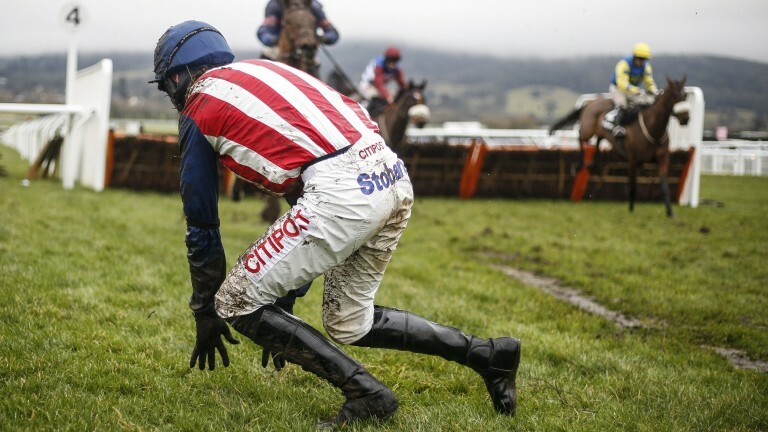 Probably not – yet that is the reality facing jockeys every time they get a leg up. In fact, on average jump jockeys can expect to part company with their mount once in every 15 rides. While for their Flat compatriots that figure goes up to a slightly less hair-raising one in every 265 rides, their falls happen at a faster speed, and generally on a harder surface. 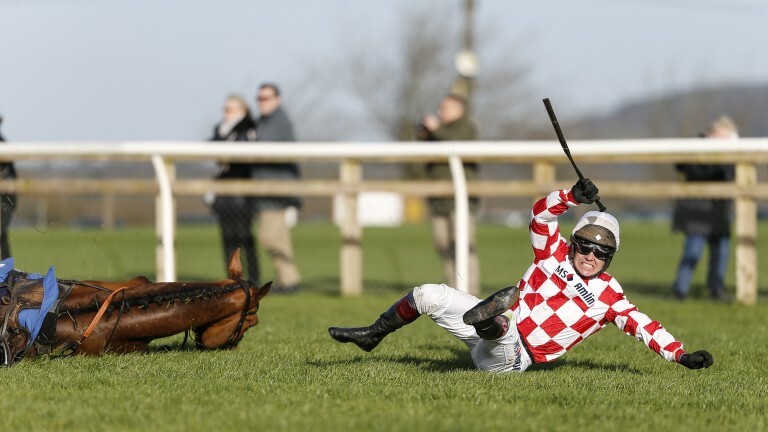 Although falls are an everyday part of racing, how many of us have really thought about how it feels, rather than simply hoping horse and jockey are unscathed – or cursing a lost bet? Let's ask a man who had some experience of the subject during his illustrious career, 20-time champion jump jockey Sir Tony McCoy. "You get used to to falling off," he says. "It's not the idea when you go out, not part of the plan, but you know it's going to happen and you have to think 'I'm going to take this, it's going to hurt but I'm going to take it'. You do what you can to make it hurt less, but the pain is part of the job." Of course, the man with a famously tough constitution and insatiable will to win would say that – most of us non-jockeys probably wouldn't, but others in the field concur. 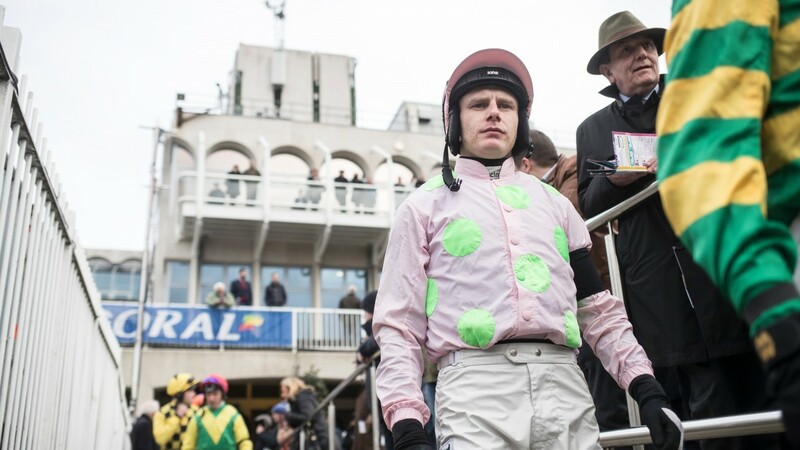 Former Irish champion Paul Townend says: "You know if you're not meeting an obstacle on the right stride, but you fall so quick that instinct kicks in and you're on the ground and it's over before you know what's happening. "It's a couple of seconds after that you're waiting for the silence [as the field gallops away] for the fall to be over, and lying on the ground trying to shake everything and see what's hurting. You get used to it." Paul Townend: "It's done, you move on"
And jockeys must not only get used to falling off but be able to forget about it afterwards – when they can, they get up, dust themselves off, and put it out their minds. "It's a different race, a different horse, it's done and gone. You move on to the next one. I'm sure you get better at falling though – you make yourself smaller quicker, but really it's over before you know it," says Townend. Jockey coach Rodi Greene adds: "The whole idea is to tuck yourself into a ball, get your neck in first, then roll on to your back – but when you're going that fast instinct takes over. Clearly, instinct and self-preservation are key. "When I was riding I took part in a study investigating reaction times," says jockey turned PJA executive director Dale Gibson. "The jockeys' average reaction time was 0.33 seconds – the average driver reacted in 0.99 seconds. We have a significantly quicker reaction time than the vast majority of people, and in fact the vast majority of fellow professional sportsmen." However, that reaction time is perhaps even more critical on the Flat, where often there is less warning of an incident and the pace is faster. "It's split-second stuff," says Gibson. "There's not a lot you can do about it, if you're hitting the ground at 35mph there's very little you can do to save yourself because you're in close proximity to other horses and close proximity to the ground – it's a case of trying to save yourself as best you can." 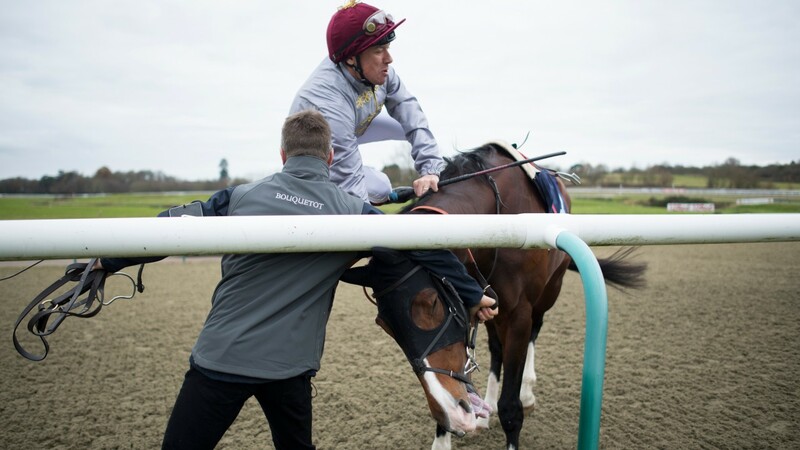 Yet with falls an unavoidable part of the job, jockeys – certainly those of the jump variety – can be expected to quickly build up experience in how to react to regular falls quickly and safely. But what about the irregular falls? "Falling's not great, but every jockey knows it's going to happen," says Greene. "If you're going 14, 15 even 25 rides without a fall you know it's coming, and sometimes it's great to get a nice soft one because you think, 'That's it then, I'm all right now for a while longer'. "But my last-ever fall was my last-ever fall – I had two falls in one," he says of the incident that ended his riding career. "My brain understood what was happening the first time, but then my knee hit the ground, spun me up into the air and my brain thought 'what's going on?' – I wasn't ready for what was going to happen, so I landed on my neck very badly, displaced my vertebrae and was nearly paralysed." Injuries, from minor to major, are unfortunately an all-too-real risk for jockeys every time they take a ride. Fortunately, the most common are soft tissue injuries – haematomas and contusions (bruises) – with fractures occurring most frequently around the collarbone and shoulder. Concussion is also a real risk – statistics from the 2012 Sports Concussion Consensus Conference showed racing recorded the highest rate of concussion, topping boxing, Australian football, ice hockey, rugby, football and American football. Dale Gibson, in his riding days: "On the all-weather, the surface doesn't allow you to slide"
Numerous factors can affect the type of injury – going, the type of obstacle, speed and the surface. "On the all-weather, the surface doesn't allow you to slide, there's no slippage like there is on turf, and quite often that slide can take you away from trouble," says Gibson. And therein lies the second problem. Sometimes it's not always the fall that hurts. "It's not so much the fall, because often you can manage that, it's what happens when you fall off in a 20-runner hurdle race and you know there are 19 horses coming up behind you," says McCoy. 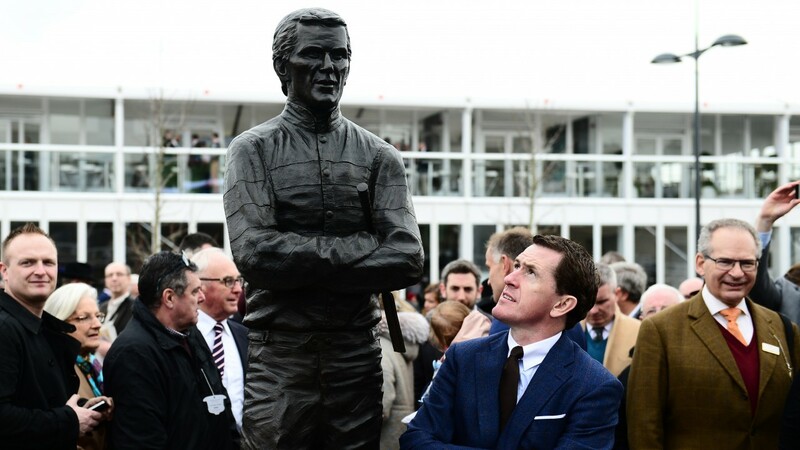 Who is tougher – Sir Tony McCoy or his statue? "You know you have no control over that and that something is going to stand on you and it's not a question of is it going to hurt, it's how much is it going to hurt? You can fall the right way and do whatever else you want to, but you can do nothing about the rest of it and that's the worst feeling." If there is not really anything you can do about what happens afterwards, how do jockeys make sure they are best equipped for the fall itself? 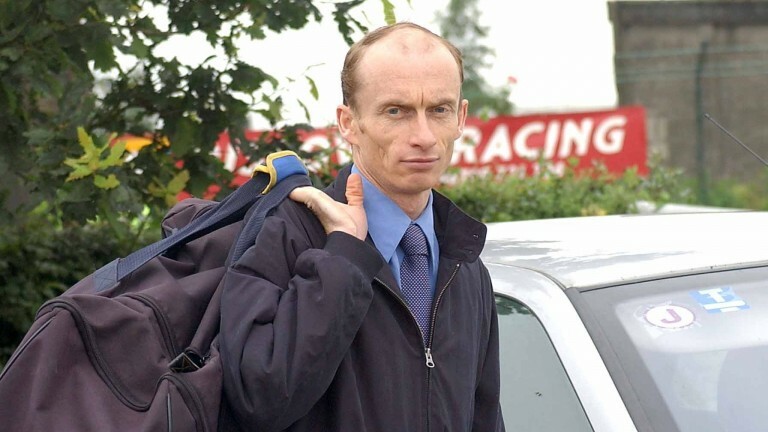 Turf Club senior medical adviser Dr Adrian McGoldrick says: "Fall training is an important part of a jockeys' training, to educate them to let go of the reins immediately as they fall, and flex their elbows to prepare to roll when they hit the ground." The British Racing School has invested in a mechanical fall simulator, while jockey coaches also devote time to the subject. "Fitness – both physical and mental – has a significant effect on our riders' ability in the saddle, so our riders have access to a strength and conditioning coach, dietician, sports psychologist and physiotherapist," adds McGoldrick. Danny Hague, strength and conditioning coach at Jack Berry House, concurs that fitness is key in being able to fall well. "The fitness a jockey requires is very similar to other weight-class sports such as boxing and judo, or even endurance athletes – any athletes who have to be as strong as possible but maintain a certain weight. "We use full body coordination exercises: squatting, deadlifts, press-ups, pull-ups, and jump and land training, starting with really basic stuff at first – can they do forward rolls? "A lot of jockeys have only ever ridden, so their movement vocabulary is a bit limited. We give them more skills – doing cartwheels, handstand holds, then progressing into jumping over boxes and getting them to roll on to a crashmat – the fundamental movement skills [needed to fall]." The team at Jack Berry House, and its Lambourn counterpart Oaksey House, are skilled not only in preparing jockeys to fall, but aiding their rehabilitation after one. "We see a lot of the same injuries as other collision-based or contact sports such as rugby," adds Hague. "We get a lot of clavicle [collarbone] fractures and shoulder dislocations." 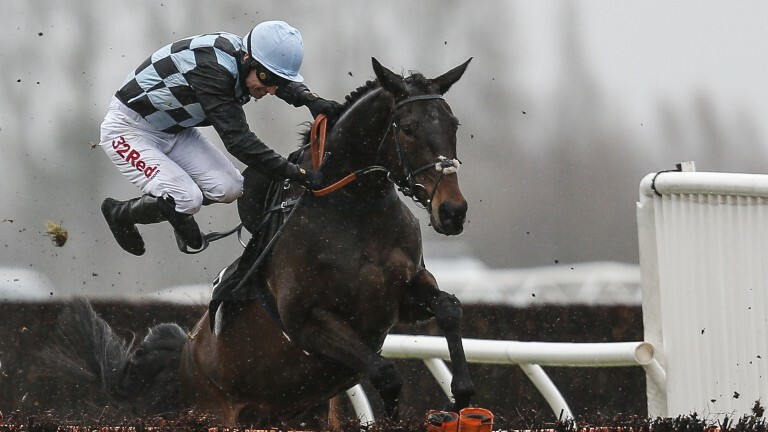 Of course, the injuries jockeys suffer with falls vary as much as the falls themselves. After all, it's not only being unseated at the final flight that can pose a risk – Frankie Dettori missed last year's Royal Ascot owing to a fairly innocuous-looking fall in the paddock at Yarmouth. Jockeys may be aware of and accept the dangers involved in racing, but that doesn't lessen the risk. Falls will happen, and thankfully horse and rider are unscathed after most. But it's good to know that jockeys are receiving the best training in preparation for them, and the best care when they do happen. Horses with altitude: how do racehorses travel around the globe? They've all lost out by a whisker but why do so few jockeys have beards? 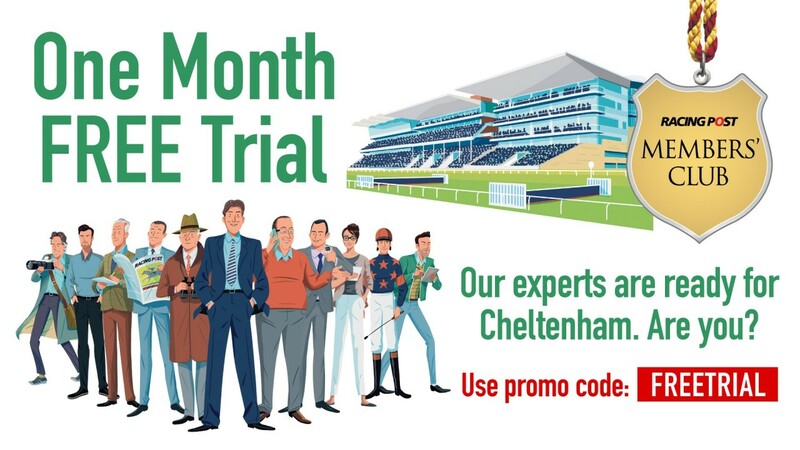 How true is the famous saying 'you never meet a poor bookmaker'?